Peggy Lee. 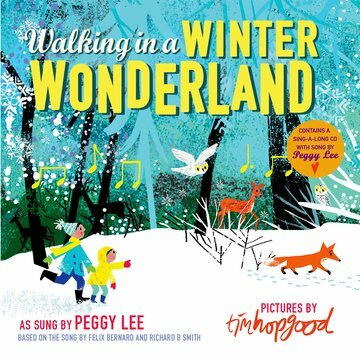 The book comes with an accompanying CD which includes a much-loved recording of the song by Peggy Lee and an exclusive reading, too. The perfect Christmas gift for all ages, based on one of the most famous songs of all time. Celebrates the joy of spending time with family and friends during the holiday season. Lavishly illustrated by award-winning author and illustrator Tim Hopgood. Gorgeous winter scenery, dancing snowflakes, and beautiful animals to spot throughout. Contains an audio CD with song by Peggy Lee and exclusive recording with page-turn signals.